When you are running an online store that has several products then it becomes necessary for you to display your products in an interactive table. However, you can use shortcodes like others to create tables but trust me it won’t be really helpful. 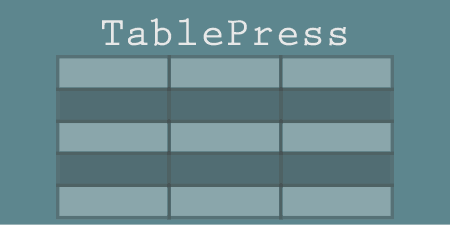 Furthermore, you’ll have to spend lots of time when creating tables using shortcodes. Luckily, there is a pretty simple solution. You can use WooCommerce Product Table plugin to create interactive tables for your online stores. It is the best product table plugin that allows you to show your products in a table format. It lists items in a searchable and sortable table that is perfect for wholesale stores, bulk order forms, product list views, restaurant orders, and more. By using this plugin you can create a table that looks great and provides users a pleasant experience where they’ll have the complete control over what products they want to see and buy. We have seen tables created by WooCommerce Table Plugin increase the conversion. After you install and activate the plugin navigate to the WooCommerce -> Settings > Products -> Product Table. There you’ll be asked to insert license key to activate the plugin. Once you are done with styling, next thing you need to take care of is the default shortcode settings. 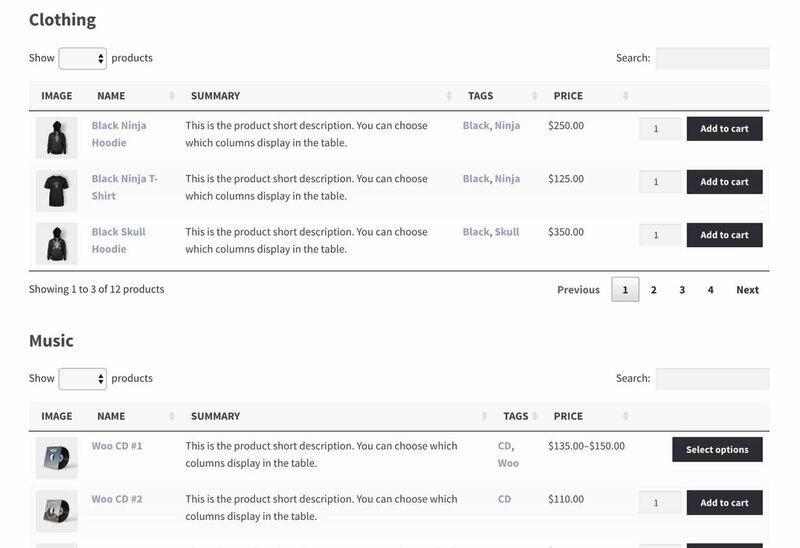 Columns tab features four columns: name, short-description, price, and add-to-cart that you can quickly add. 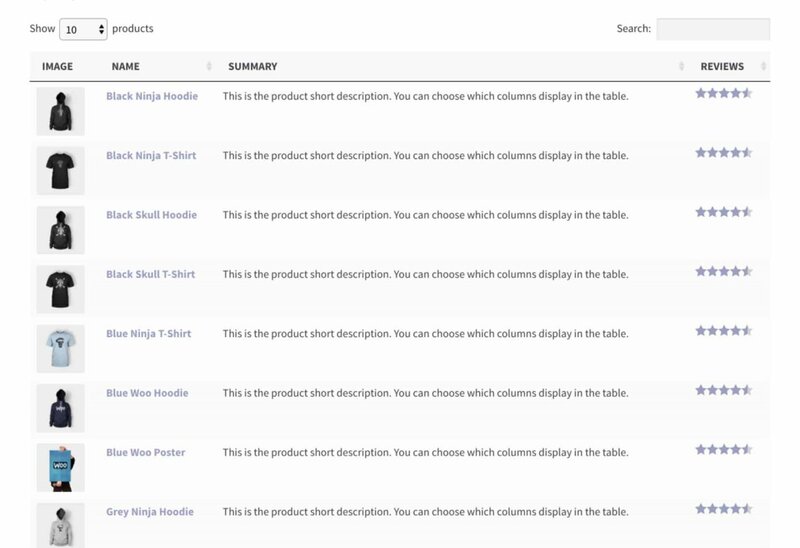 When you scroll down you can see Rows per page that indicates how many items you want to show on your product table. Add to cart button will allow users to buy product directly from the table. Apart from basic settings, there are other advanced options that you will find when you scroll down further. Here you can opt Lazy load that loads products after the page load. Moreover, you can select Ajax add to cart feature that allows users to add items to their carts without reloading the page. It’s a nice option that buyers really love to use. 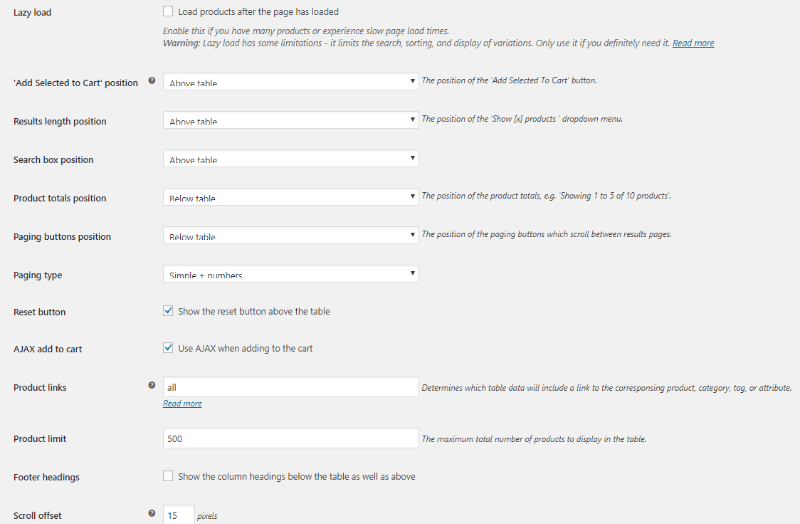 You need to use the shortcode [product-table] to add a product table to a post or page on your website. Copy the shortcode and place it anywhere you want to display your product table. However, when you use the default shortcode it lists all products of your website that you can filter using widgets or drop-down option from the table. WooCommerce Product Table provides you with complete control over your product tables – if you want you can create tables without product images and Add to Cart buttons. It’s entirely up to you. The goal of WooCommerce Product Table is pretty simple – show your products in a professional looking table that is searchable and sortable as per users need. 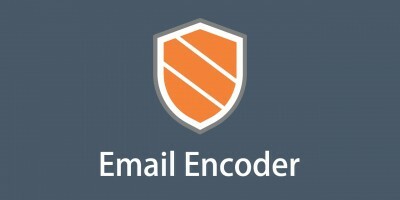 It has multiple shortcodes that you can use to display your products in a meaningful way. The best part of WooCommerce Product Table is it creates responsive tables that look great in desktop, tablets, and other mobile devices. You can even create separate tables for each product category. 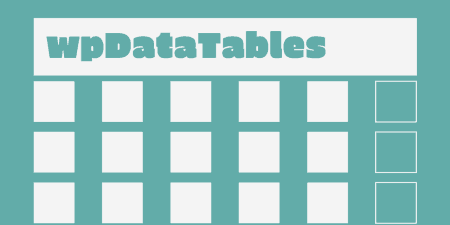 The beauty of this plugin is that it lets you customize your tables as you want. Would you like to create visual product tables with large feature images and forced column widths? You got it. The plugin is loaded with some cool features like Lazy loading that you won’t find in the product table creation plugins. Lazy loading comes handy when you have lots of products in your online store. It loads items one page at a time to reduce the load on your site’s server that eventually improves the overall performance. Moreover, enabling Ajax add to cart feature allows users to use add to cart button without refreshing the page after buying something. People want to see reviews before buying the products, and you know that, right? 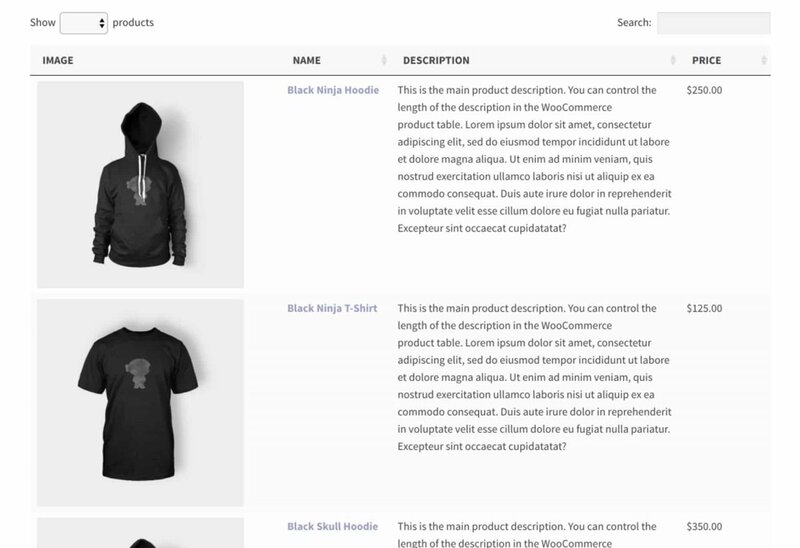 Using WooCommerce Product Table you can display product names, images, short descriptions, and reviews as well. It boosts your conversion, and you will want to have it right. 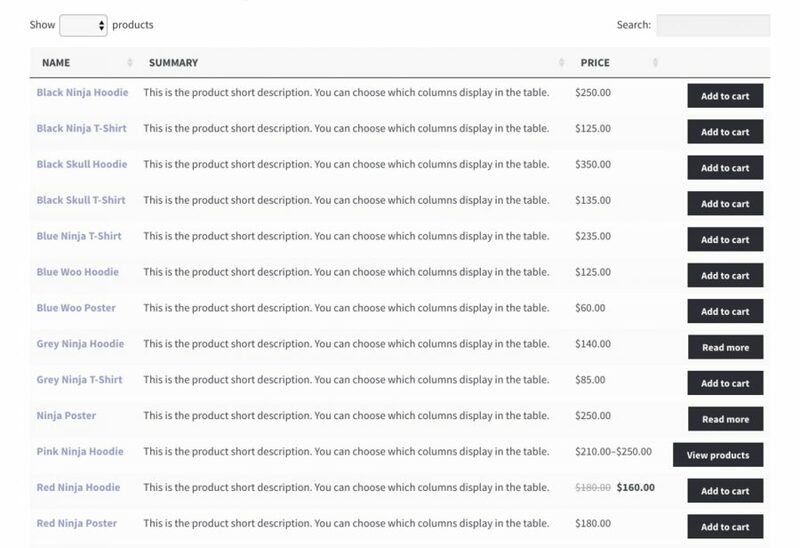 Additionally, you can create tables that display a category specific product list with dimensions, weight, and stock that can be sorted by price. You can encourage users to search other products available on the website by showing customizable messages in situations when searching for them returns no items. 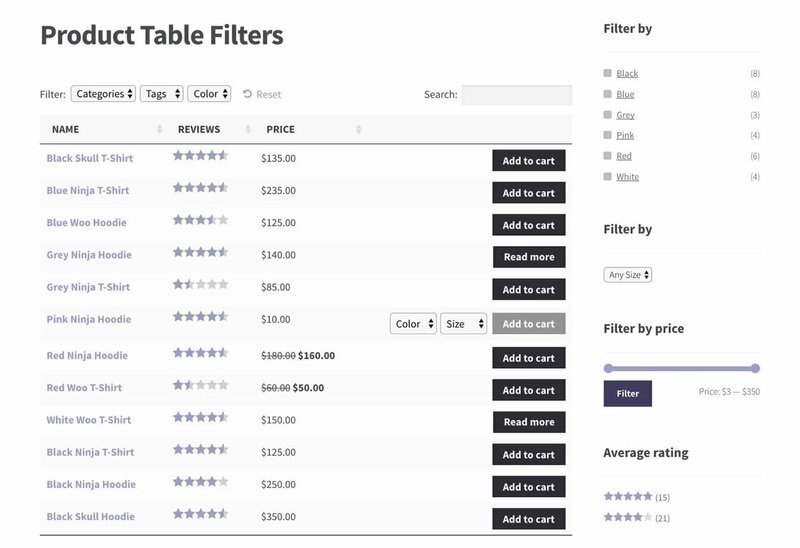 WooCommerce Product Table has a list of useful filters that you can use per your need. It is helpful when you have a long list of items to show. 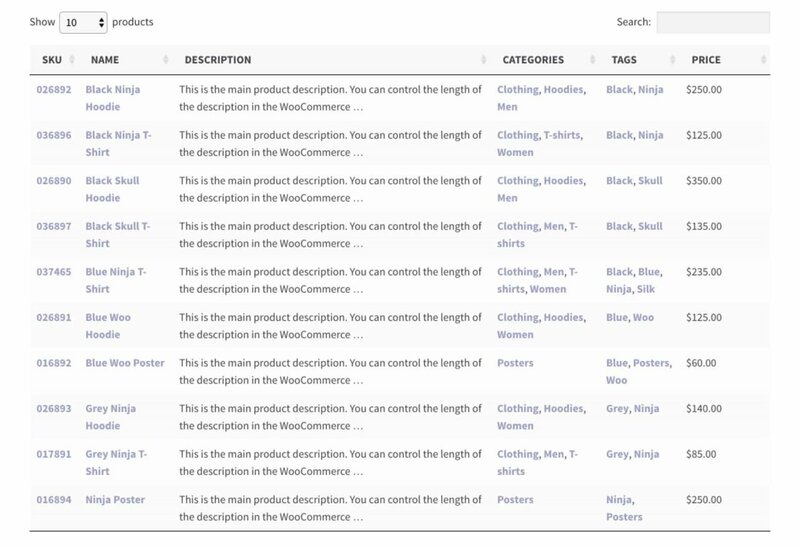 Users can customize their search before they add them to their cart. Let’s see the example where users can select the color, brand, and size of t-shirts before buying that. Build a product table with enquire button linking to contact form. It will allow users to reach you with their inquiry before they buy the product from your website. Instead of losing a customer because they didn’t have enough info to start with, you can make them a returning customer just because you showed you cared. You can visit WooCommerce Product Table demo area to understand its other functionalities. There are lots of table creation plugins available online but none will give you the freedom as WooCommerce Product Table plugin does. It is the only plugin that comes with a bundle of useful features that you can use to create an interactive product table. Moreover, the plugin has a large knowledge base for help. You don’t need any coding skills to make a beautiful product table that converts visitors into clients. In fact, using WooCommerce Product Table plugin you can do it in few minutes – its additional features for customers, such as filtering, sorting, and search options boost sales. 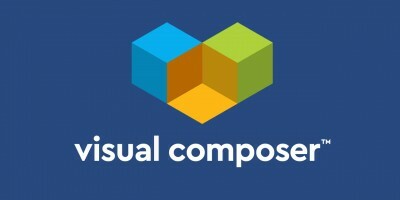 This is a must-have plugin when you are running an eCommerce website. Over 2,000 WooCommerce stores are already using this amazing plugin and increasing their sales. 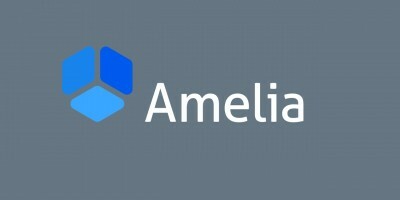 Let me know if you have any questions regarding this plugin in the comment section or get in tough with the support team by filling the support request form.